The school and my life is trotting along. I’m handling the extra course fine, but instead I’ve left the standard math course behind a bit. Actually more than a bit but hopefully I’ll correct things later. No my life is going along just fine, it almost feels like my life is runing ahead and leaving me behind. What have I done lately? School work I guess? Can’t think of anything else the last month to be completely honest, which is pretty far from optimal. I set out this school year with the goal of programming a lot more, but so far that has been pretty dead. Sure I made a lot of progress on the new site during the christmas break but since school started I have done nothing, nothing! So sad. Yesterday I did something else though. I went and bought a bunch of stuff. I bought a birthday present for Veronica which I’m very happy with, and I bought some rubber bands for training the oblique muscles among others. I tried but I couldn’t find a protective condom for my new phone, yes I have a new phone! A white, shining, wonderful Samsung Galaxy S2 which is blowing my mind. I can now surf, watch starcraft and read manga in bed, in the bathroom and in school! Yay! And umm… New boxers. Apart from all that I also hung up Veronica’s two paintings and a white shelf I’ve been meaning to a while. I realized I had no idea whatsoever how to hang up a painting! I bought a big box with screws and stuff but there where only one of them I knew how to use. 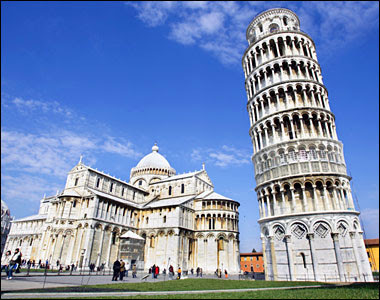 Now I know how to hang up a painting like the leaning tower of Pisa! You call that leaning? You should check out my paintings! I finally got them sort-of straight, but it took a while. You know your life is running fast if you’re savouring hanging up paintings. But now I will do something about that: I will go to Taekwon-do practice and later maybe going to the children’s practice, yay!